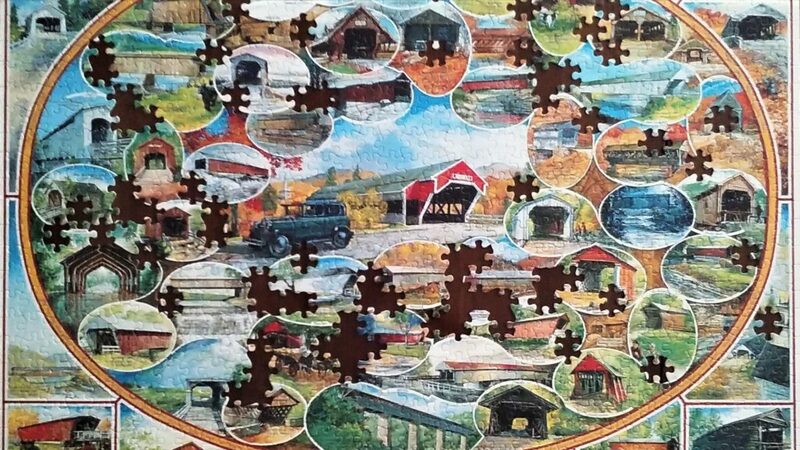 Does your life feel like an unfinished puzzle? Do you fear you may have missed some important pieces (experiences)? I believe God has gifted me and called me to write. He inspires me almost every morning with words of a poem or lyrics of a song. Should I be content with that? I don’t know. I still want to complete the more difficult task of writing and publishing another book. I haven’t given up that desire, yet obedience to Jesus is the higher desire I’m committed to. Fear that I won’t complete it tempts to hurriedly finish my book, without doing the research and praying needed for clarity and accuracy. Fear that it will be imperfect (which will undoubtedly happen) tempts me to quit working on it. God is faithful. He knows my fears and recently, through the prayers of a good friend, gave me the encouragement I needed to continue working on my current manuscript. Fear is one of the greatest obstacles to finishing the good work God gifts us for and calls us to do. Today, my challenge is this: “Let us strip off every weight [fear] that slows us down, especially the sin that so easily trips us up. And let us run with endurance the race God has set before us” (Hebrews 12:1 NLT). My prayer for all of you who read this blog, as well as myself, is that we will not cave in to the temptation of fear but faithfully pursue whatever good thing God has put on our hearts to do. We know when fear comes, the Spirit “will show [us] a way out so that [we] can endure” (1 Corinthians 10:13 NLT). From it, there is no vacation. I can triumph every hour. I will make the proper choice. Are not obstacles to him. The struggles I’ve continued in. It’s with hope not despair. Jesus lives! He is not dead! In loving patience, I’ll relate. To my Savior, I will flee. To my Savior, I will run. This earthly race will be won. Thank you Jane for all the words of encouragement that you post. I’ve struggled with addiction for a good part of my life. I had not drank in sixteen years but took up smoking pot for pain. A drug is a drug. I have 5 months clean and sober now but this time I am calling on Jesus to guide me. Makes such a difference. Your faith strengthens me and I pray for you. God bless you Jane. Doreen, thank you so much for sharing your struggle with addiction. I admire your courage and perseverance. You encourage me to be honest, to be humble, and to continue writing. God bless you in your recovery. A timely word. Thank you, Jane, for this encouragement. It is good to know we are not alone in our fears. And we all need to remember that there is power in the Holy Spirit to live a victorious life that Jesus bought for us in His death and resurrection. I love the first line of your poem that says that we don’t get a vacation from temptation. We are in it for the long haul. Thank you for a fresh word of encouragement. I will be praying for you as you work to finish your next book. Sandy, I greatly need and appreciate your prayers. Thank you! You are welcome, Lindy! God bless you with peace, today. Thank you for your Friday morning apples of gold. The reminder to run our race unhindered and in faith is especially pertinent for January! Yes dear sister, write away! Thank you for your words of encouragement, Donna!